Unfortunately, polar vortex temperatures are not conducive to outdoor grilling. Unless you are into deep frozen cheeseburgers. I, for one, am not. I recently tried this incredibly easy way to cook up a burger inside with little mess and lots of flavor. By baking the ground beef patty in a rimmed baking pan, you end up spending less time at a grill and more time with your guests. This is the perfect addition to a Super Bowl spread. I’ve listed the recipe for the most classic of cheeseburgers, but the possibilities with these are endless. Next time I’m thinking BBQ Cheddar or Mushroom Swiss. Preheat oven to 400. In a large mixing bowl, mix ground beef, onion, worcestershire sauce, salt and pepper together. 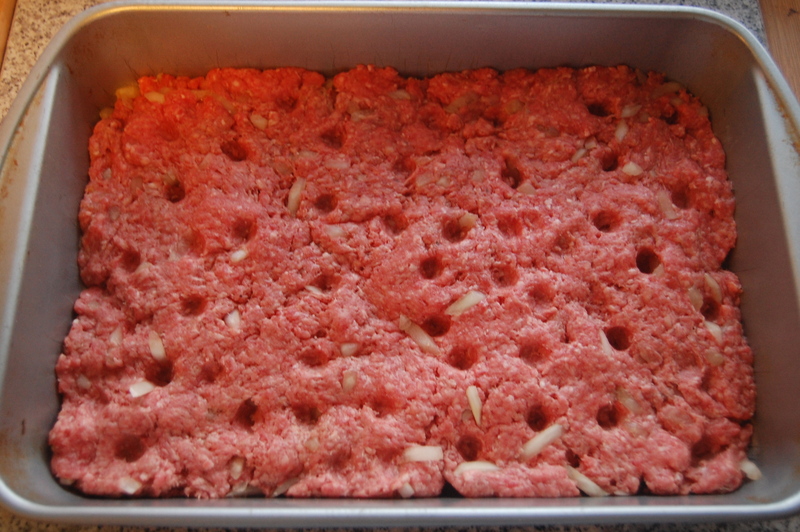 Press beef mixture evenly into a rimmed 9×13 baking pan. Using the end of a wooden spoon or other similar utensil, press down, making indents randomly across the meat (as shown in the picture). Place in oven and bake for 20-25 minutes. About halfway through, remove from oven and empty grease. Repeat after 25 minutes. Place cheese slices across the top and place in the oven for 2-3 more minutes to melt cheese. Using a pizza cutter, cut patty into squares of desired size. Place on buns and serve! 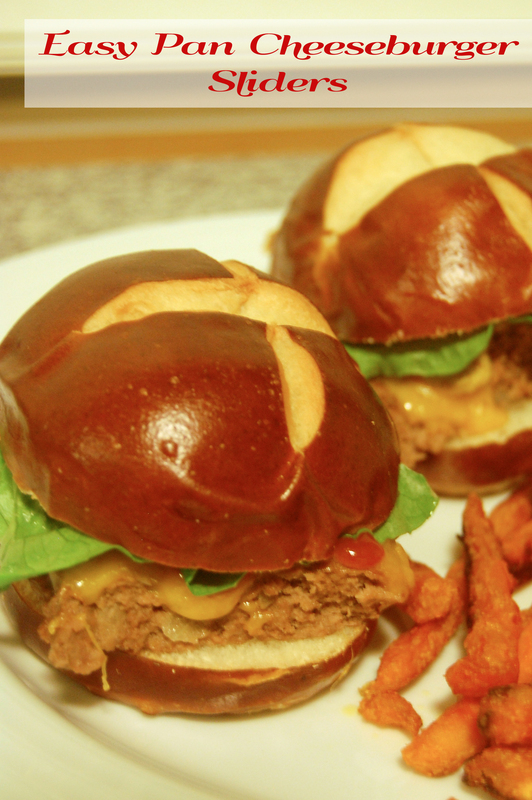 Check out these other Super Bowl friendly sliders!